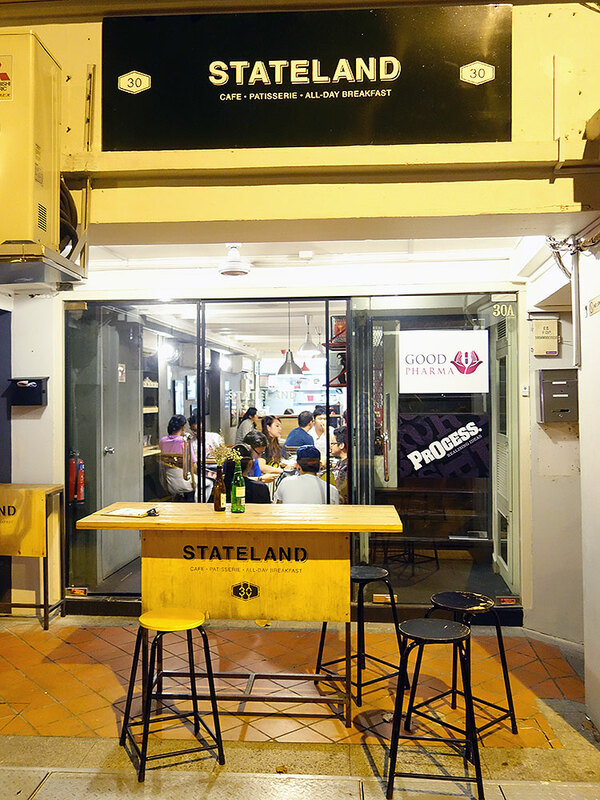 Visited Stateland Cafe at Bali Lane after work on Tuesday night with colleagues. 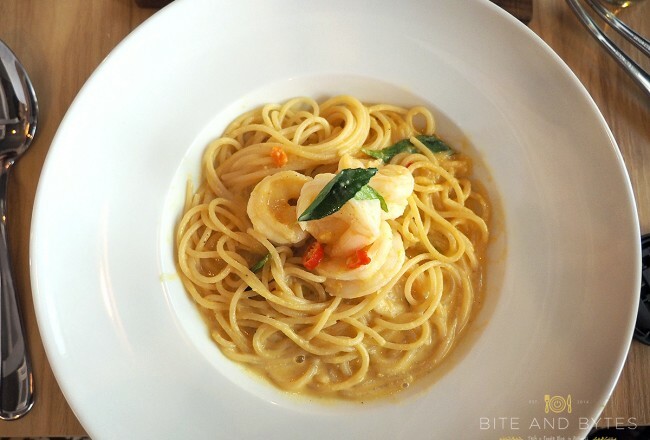 If you’re not sure where Bali Lane is, it’s just a street away from Haji Lane, near Bugis MRT station. When you get to the cafe, you will realize it’s quite small, and the cafe is actually divided to 2 units which are not connected. Though cozy, but its definitely not a good place for big groups of more than 6. I had their Eggs Benedict set which I usually do for all breakfast sets. Their set comes with ham, mushrooms, and a special sauce which was kinda spicy. Weird combo? It’s not that bad actually, the mushrooms are nice and fragrant, eggs are done well, though one of it could be cooked more as the whites was still too runny. The thing was the toast wasn’t as soft and fragrant so that deducted some points from it. My other friends had their pasta and other breakfast sets. The pastas were all mostly “OK only” comments. 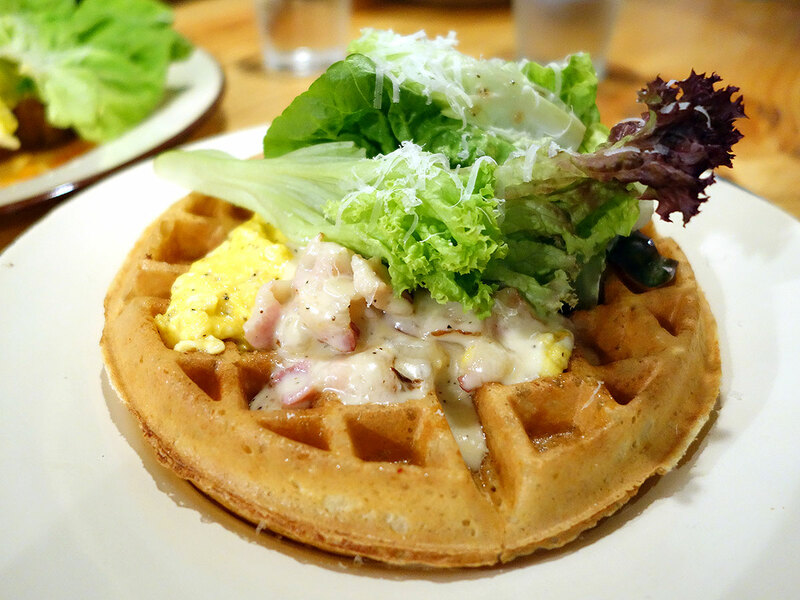 Whereas the eggs style (scrambled) and egg waffles actually had better raves about them. 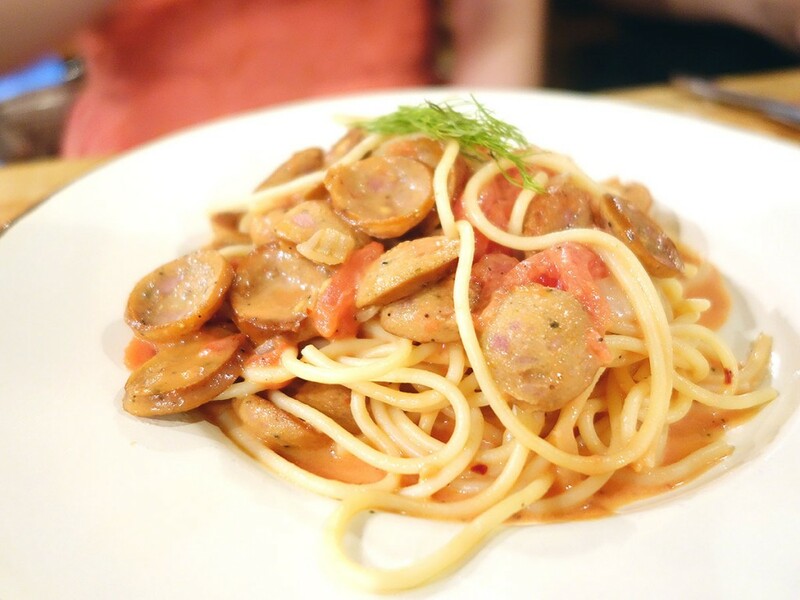 So you would probably be better off ordering all day breakfast than their pastas if you would like to try them. 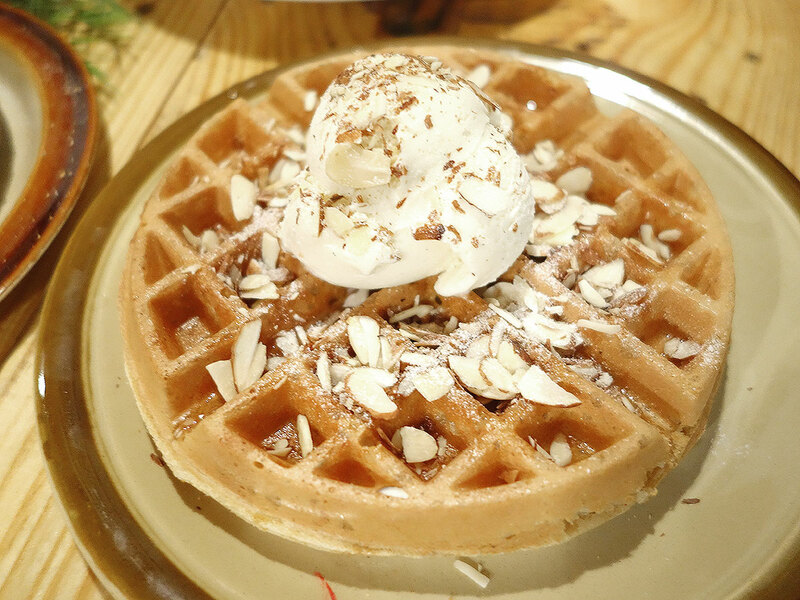 Their waffles! Which are the best of the show for the night. They were pretty, crispy and fluffy! Except probably the red velvet one, which kinda sinked in, not sure why, probably due to the different mixture? 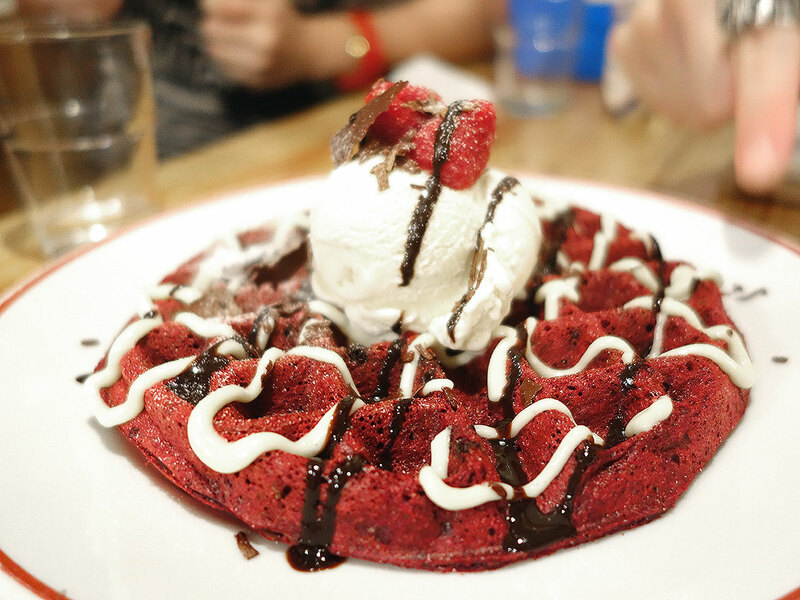 Best waffles would go to the red velvet one, it was my first try of this version, and it had some chocolate running across it, which gives the different texture in a bite! Lots of awesomeness in that! So please try that if you had only one for your stomach space. The others toffee nut and smores, I would recommend the toffee one over the smores. Which had a nice syrup over it which gives you a nice sweet caramel type of taste. The chocolate one however just lacked anything special or the punch to it. Overall would recommend this cafe to all my readers! Just hope they can overtake the unit in between them so they can expand and create a more spacious environment. 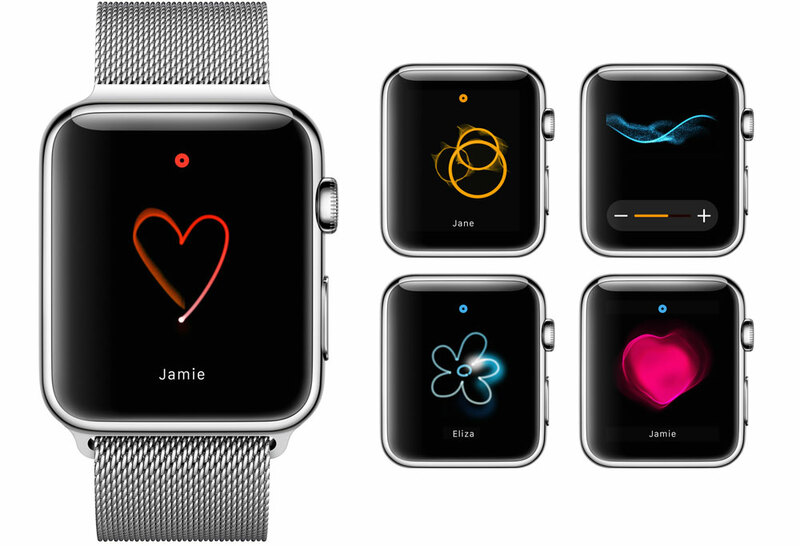 Apple Watch – Have Apple lost their direction? Don’t get me wrong, after Apple announced their Apple Watch on September 9th, I was pretty much impressed by it (at least more than what the iPhone 6/6 Plus). It offered a brand new UI experience which the Android camp didn’t really innovate much on. However, after giving it much thought when you digest all the features that Apple designed into it, I’m asking myself, how many of the features of the watch, how many of the apps will you actually use on the Apple Watch, with that 1-inch screen? Have Apple given too much thoughts into this new gadget and ‘lost’ their direction on simple and user friendly interfaces? 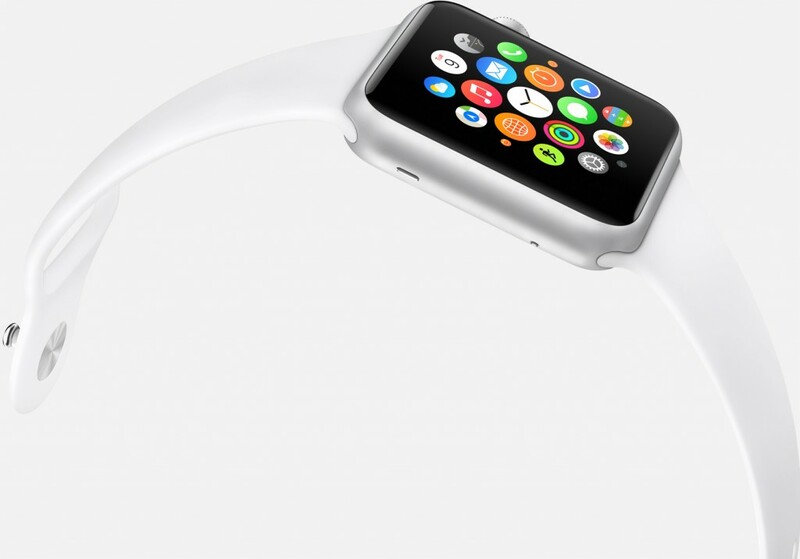 Did Apple just invent a smartwatch that an Android probably would have developed? That number of customizations, super lots of features and eye candy. This was one of their ‘biggest’ feature during their keynote. It may appear to be quite a nifty and interesting feature at first. But seriously? Remember this point, you need your iPhone to be paired with your Apple Watch. What’s with the Morse Code sort of thing, when you can probably iMessage or SMS people straight? Drawing on that 1-inch screen? Sharing your heartbeat – probably to your doctor? Really? How many of these features are really that useful? 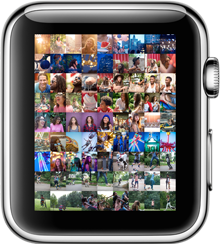 I’ll give them a thumbs up first for designing the ‘revolutionary’ way to view photos on your watch. However, once again, you have your phone just beside you, why not just use the phone to view your photos in your all new 4.7″ or 5.5″ screen instead of a tiny weeny 1″ screen? And usually you open that to share with your friends, your friends better have a good eyesight to begin with? Okay, this is not necessarily a ‘bad’ feature to have. The amount of customization on the watch face is huge! But really? Do you need to play with planets on your watch face? Probably interesting in the first 10 times, a little interesting another 20 times… By the “n” number of times, what do you use it for? educating kids about our solar system? Let’s face it, Apple is not the first one to come out with smartwatches, though they might have accidentally created this category with their iPod Nano in the past. But the first to revolutionize smart wearables probably have to go one of the most successful Kickstarter campagin – The Pebble smartwatch. Of course, being the first doesn’t mean you have the best product. But all along, there’s the debate of whether people really needed smartwatches, when the amount of people wearing real traditional watches are already on the decline. Personally, I’m already a proud owner of Pebble and Sony Smartwatch 2 and I don’t really think smartwatches are useless. However, you just don’t need to use them that often, the most nifty feature for me is you can really read notifications straight from your watch, and ignore it if it’s not important, without checking your phone in your pocket/bag. Apple seemed to me have forgotten the fundamentals of a watch and placed super lots of features to attract people to buy it? Android Wear however, is more simple and focuses really on the important stuffs, rather than having 1,000 apps available for your 1 inch screen watch. For me, the best smartwatch to get now is either the Pebble (for it’s superb battery life and compatibility for both Android/iOS), or the Moto360, however this Moto360 watch is being battered by users who claims the battery life renders the watch useless as it can’t even really last a day. 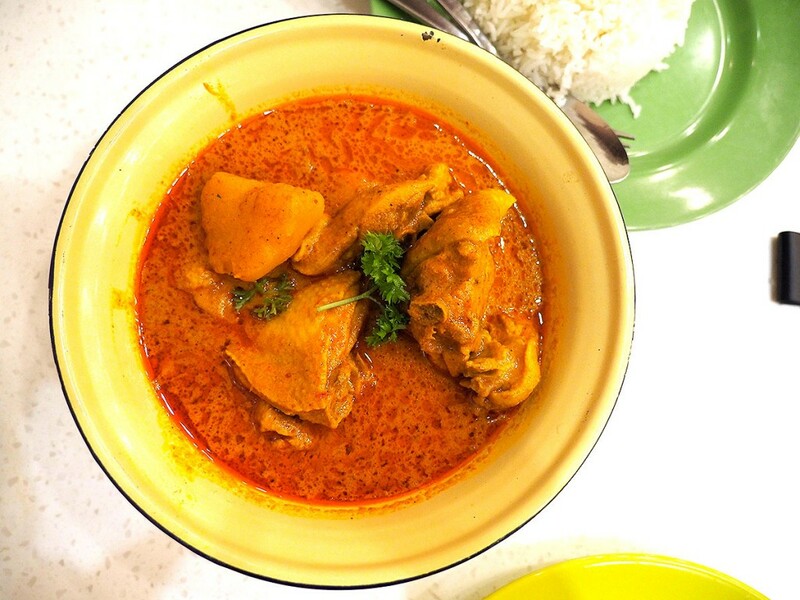 There’s always the topic of where’s the best Thai food in Singapore, and no matter which restaurant you went to, the best recommendation to get authentic Thai food will always be at Golden Mile Complex. If you don’t know Singapore well, Golden Mile Complex and Beach Road is called the “Little Thailand”, which you’ll find lots of Thai shops there, and a favourite hangout for Thai people to gather during the weekends. Of course, you go to Golden Mile for their money changers, and also their travel agencies. 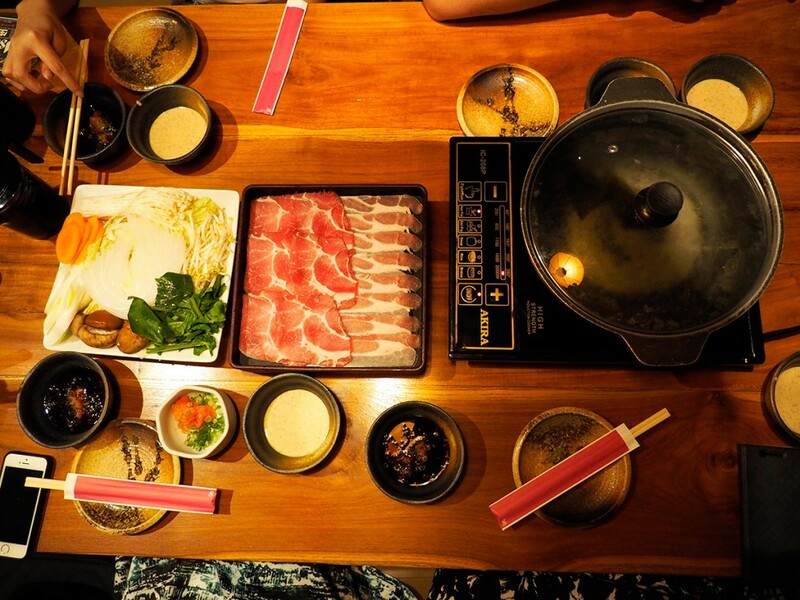 Last weekend, we went over to have our dinner after our close friend opened a shop at Golden Mile Tower. And we selected Nana Thai at the very end of the building as we weren’t able to fill our stomachs with Mookata. 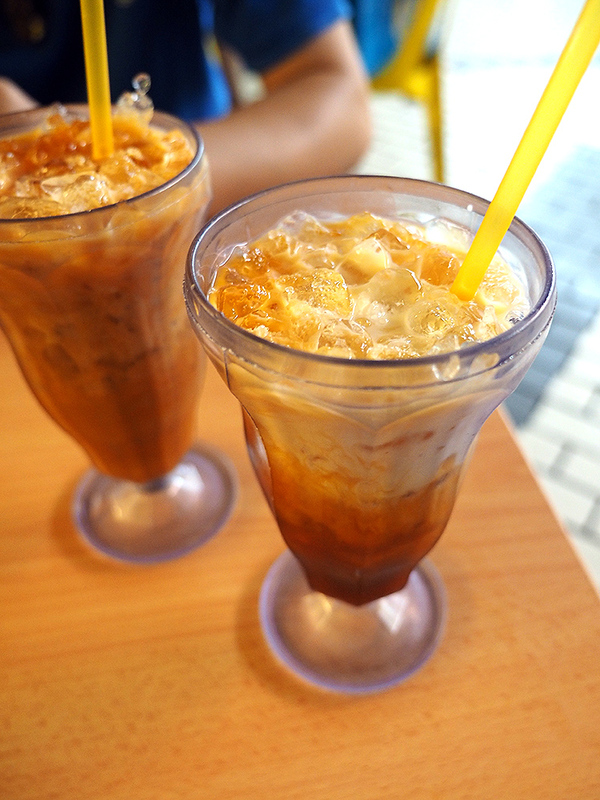 The special Thai Iced Milk Tea, which is a must order, not sure why it tastes different from our Nanyang style tea, but it’s really quite special… But it’s a little tad too sweet though, so if you can’t take super sweet drinks, you probably wanna wait for the ice to melt further. 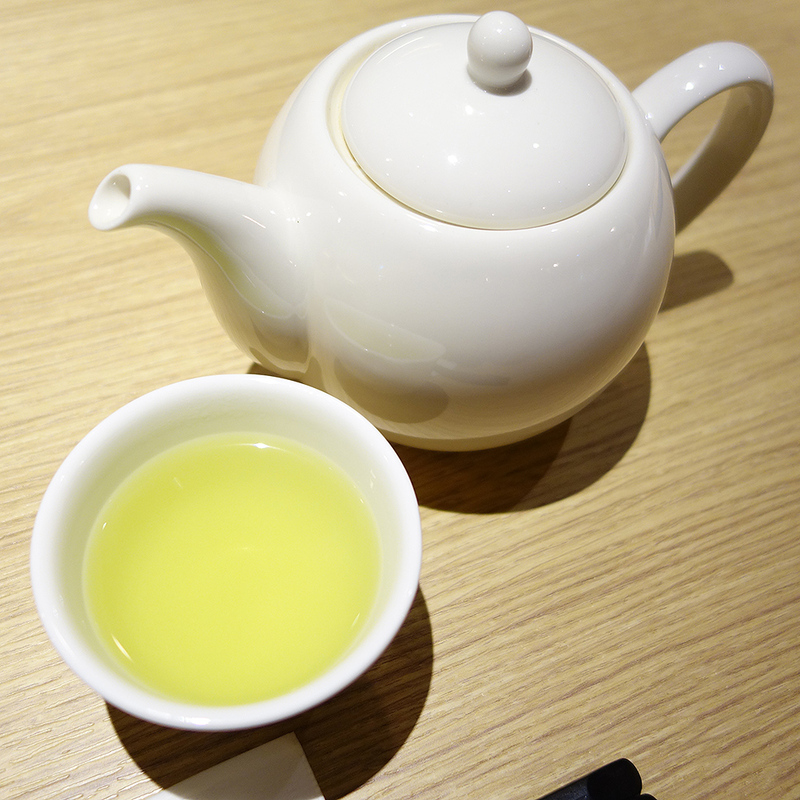 However, the fragrance of the tea could be more thick as we had better one at MooJa Mookata. 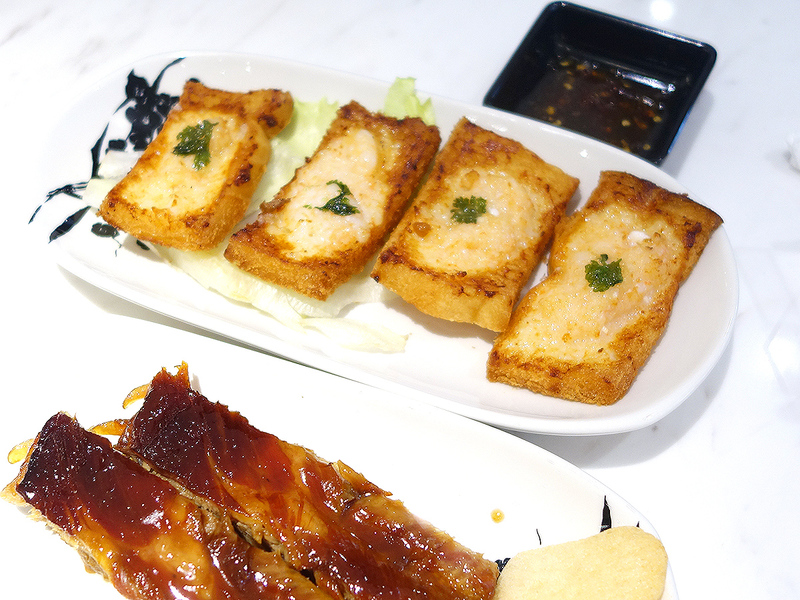 Another typical must order dish will always be this – Basil Fried Chicken/Pork, which we ordered the Pork version. 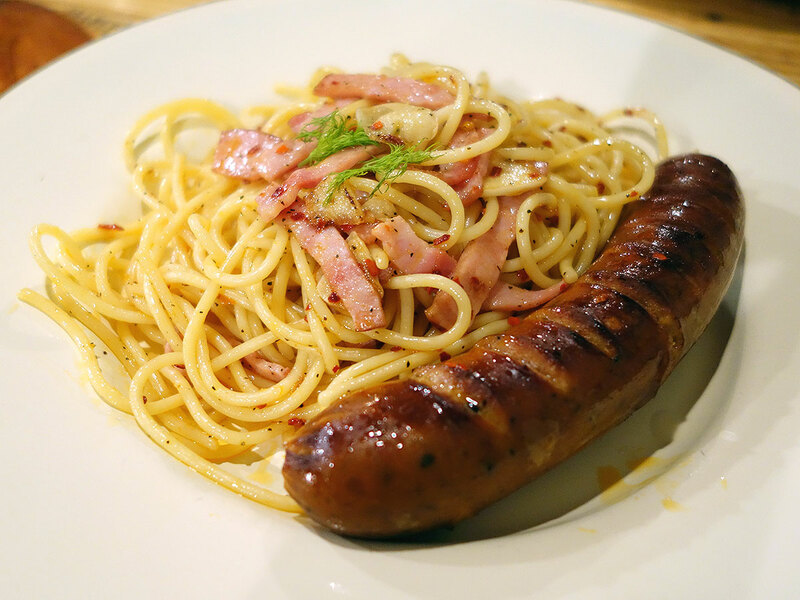 Not sure if it’s standard dropped or anything, but this dish was quite plain ordinary to me, the basil smell can be stronger, as you can see from the photo, they didn’t place that much basil leaves. And it tasted a little powdery? Tom Yum Gong! 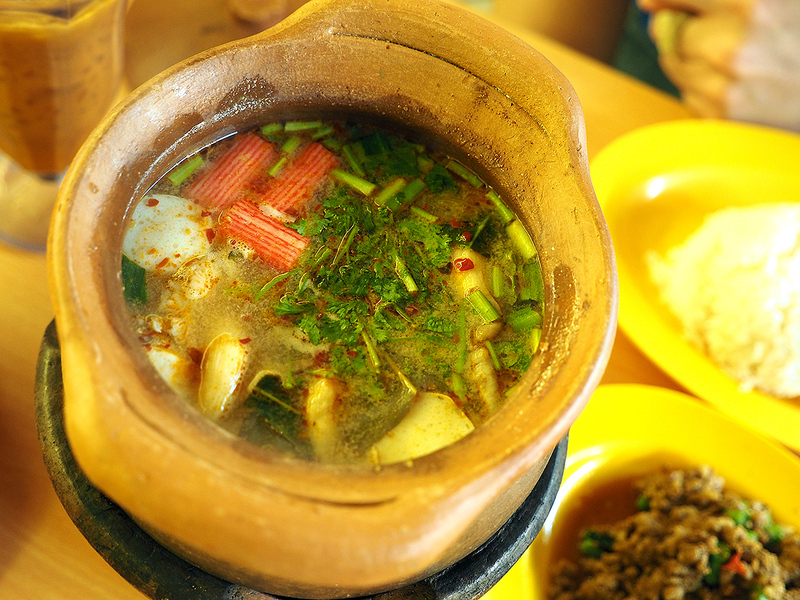 Which means Tom Yum Seafood, is another must try here. They place this in a stove with solid fuel with a sort of claypot, so it’s ensured to be steaming hot no matter how long you place it there. 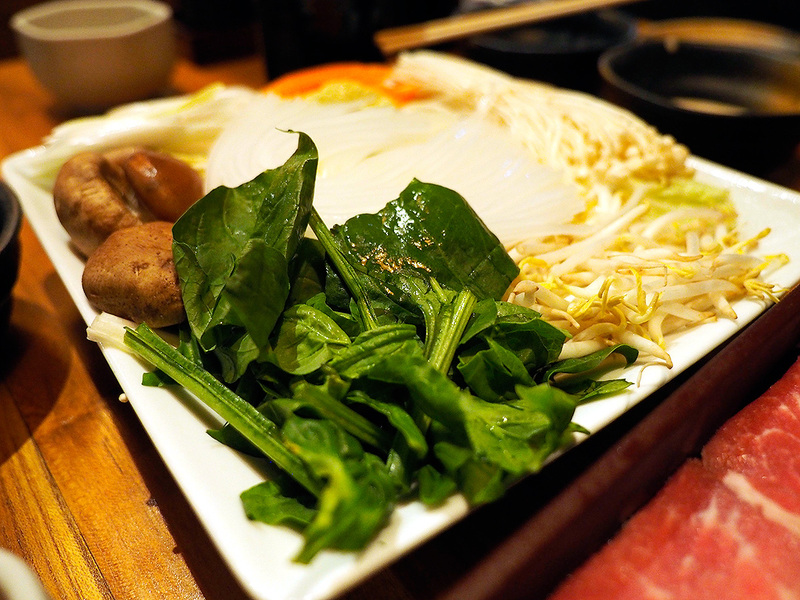 This soup is great, sour and spicy, though spicy loves will definitely prefer it to be spicier. But it was still OK to me. The soup is also filled with ingredients, Prawn, Crabstick, Squid, Fish Ball, Mushrooms, etc… So it’s definitely worth the money, and it’s a super great dish to go with the rice. I can really have just rice and soup. The Thai style fried egg was really good, and a little different from our usual Chinese styled egg. It’s more fluffy and nicely seasoned, not too salty which some may overly add the salt/soya sauce in the egg. 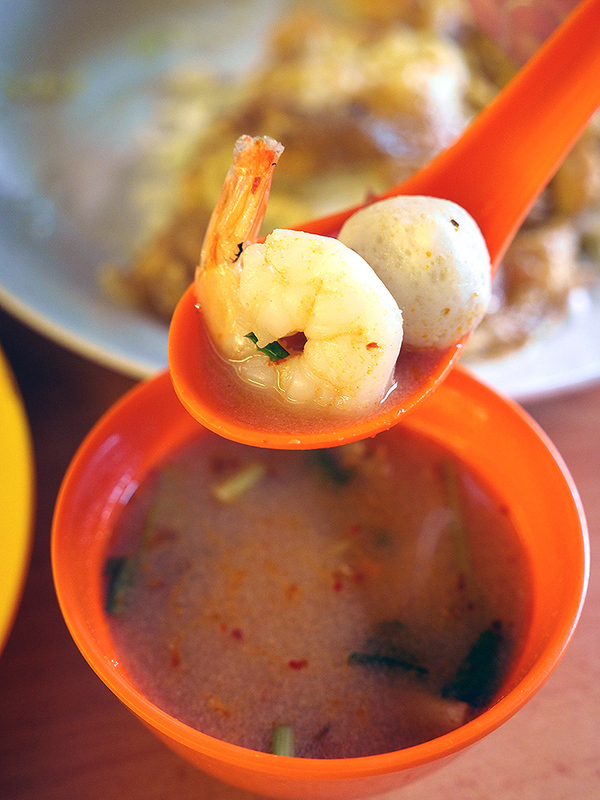 Another shot of the ingredients (prawn + fish ball) in the Tom Yum soup. I would say Nana Thai’s food is good, but there could be even better Thai food around the complex since we saw some restaurants to be fully seated, whereas this restaurant was a little less crowded. 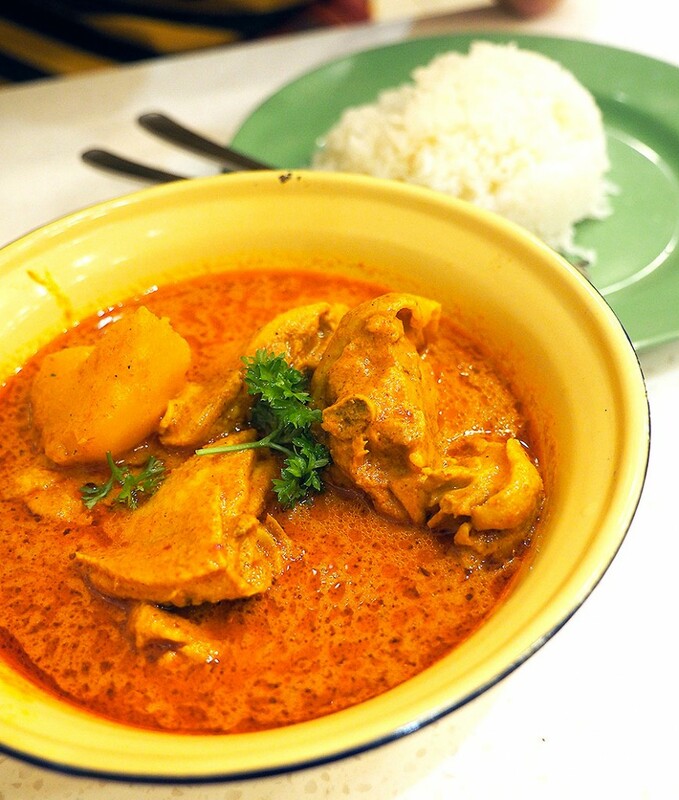 But if you’re looking for a simple fare of Thai food, you can still come here and it would still win any average Thai restaurant outside Golden Mile Complex. 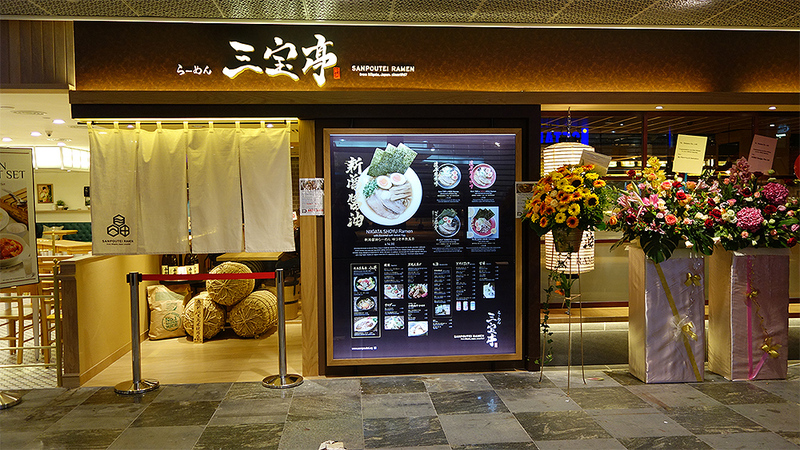 If you were to be searching for MOS Burger at Bugis Junction, then you’re in for the first disappointment, cause that place has been replaced by a new Hong Kong restaurant called SIFU, or known as “Master” if you translate that from Mandarin to English. Met my friends during lunch time there, the crowd at the restaurant is OK, not fully seated, almost 75%? 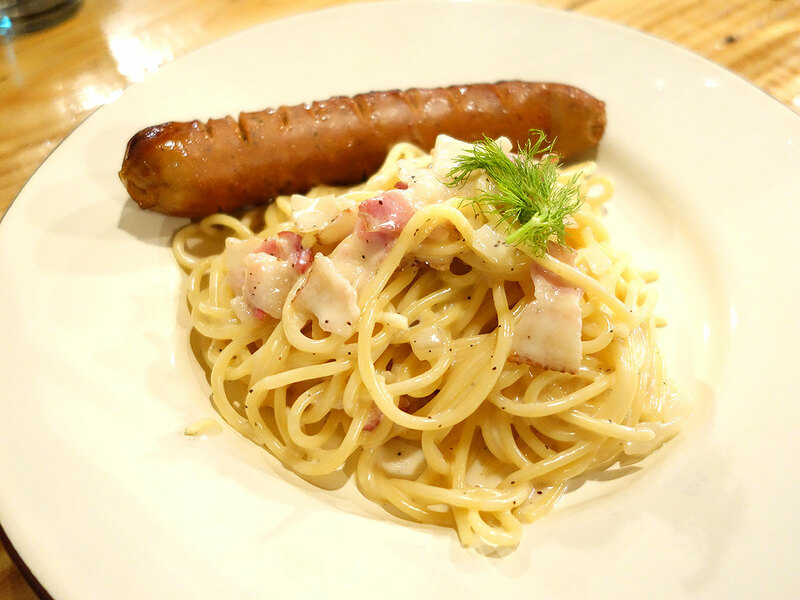 First of all, it’s not your regular “Cha-Chan-Teng” type of HK restaurant, they don’t serve the luncheon meat with instant noodles, though that’s probably one of the most common dishes I order, haha. And be prepared for a price that’s higher than your regular Xing Wang or Kim Gary, which comes the 2nd disappointment, sort of. As you expect better food with the pricey tag. 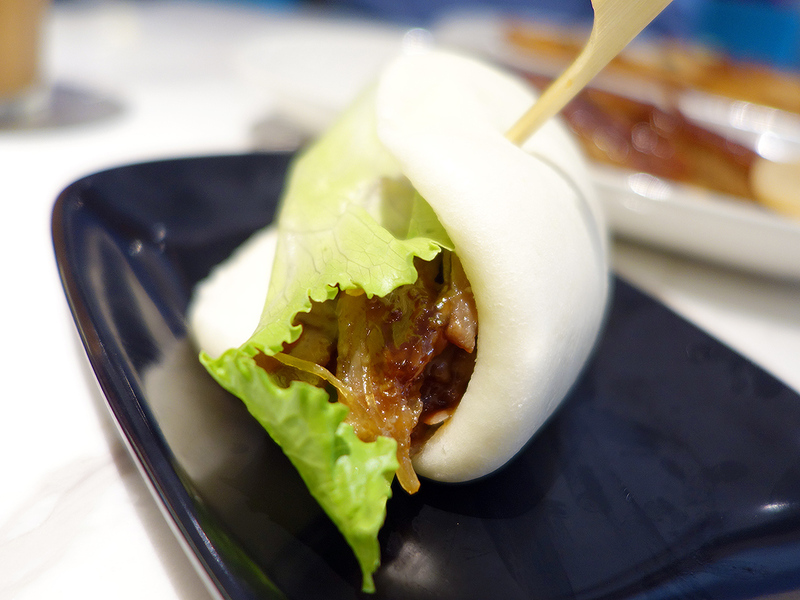 I didn’t manage to taste this sort of “Kong Ba” bun, but I think the reviews from my friends was it’s still OK. The meat looks really marinated well? This was supposed to be one of their signature dishes? 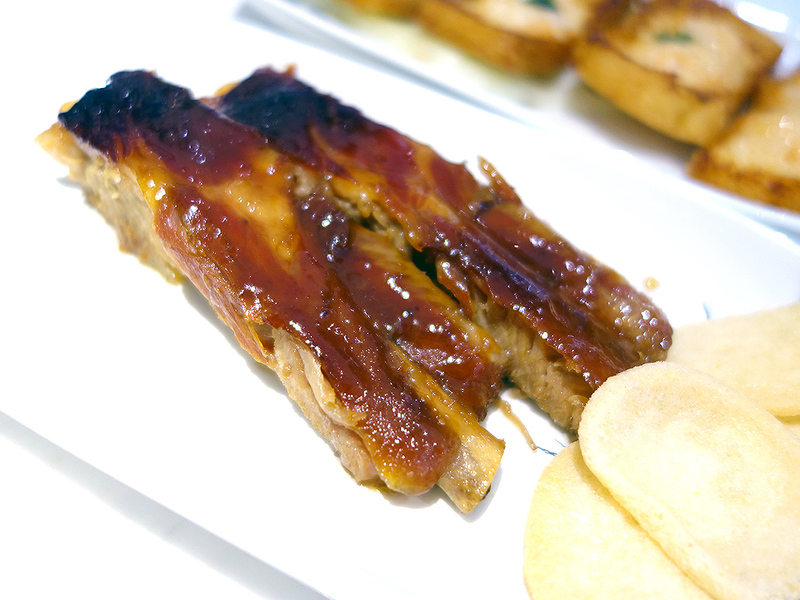 The Pork Ribs, but actually it felt so-so, though it’s seasoned well, but it just lacked the kick of having pork ribs, and I’m not sure why the food there seems to turn cold faster than usual? This was one of the better dishes that we agreed on, the toast was crispy and you can taste the prawn fillings, though there could probably be more prawn? 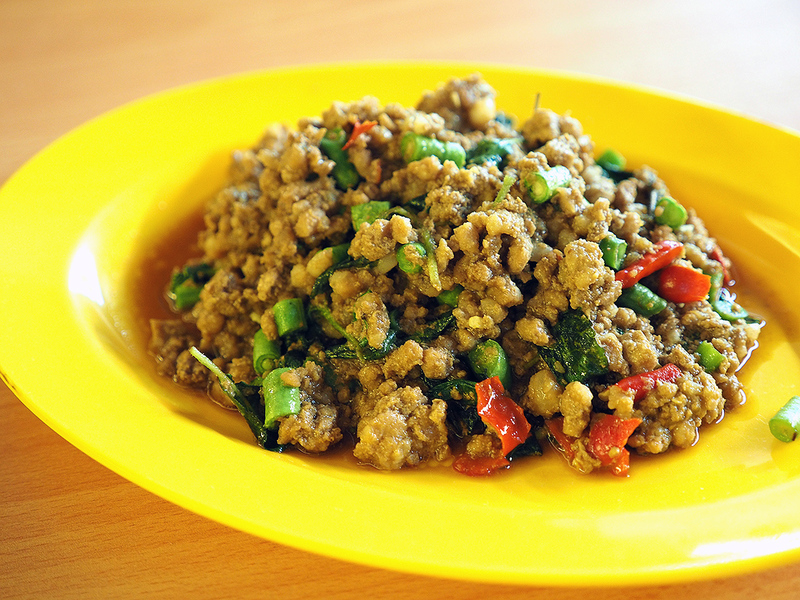 And their chilli is kinda like the Thai style type, which is a funny combi for a HK restaurant? It’s a little tad oily too, they probably double fried it so the toast absorbed a lot of oil. 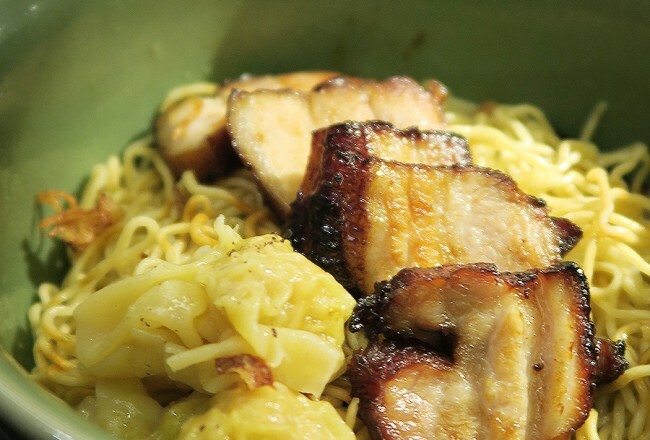 After having read some reviews on blogs, we decided not to get the dried noodles, so we get the soup hor fun instead, you can choose between hor fun or the rice vermicelli for this noodle soup. The soup was tasty, with hint of milk, something like your fried fish soup, but the taste is somewhat different. Chicken chop was OK, tender enough and marinated well. Again, it just lacked the wow. 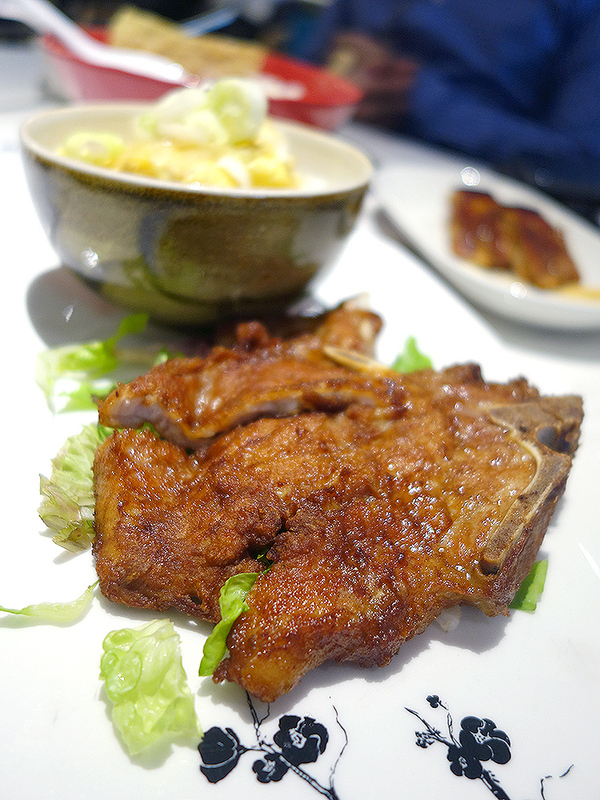 The pork chop was one of my favourite here, it tasted some what like the Din Tai Fung version, but I still prefer Din Tai Fung’s one as theirs had more garlic flavour which makes it really enjoyable. This one’s not that bad either and it’s quite a big piece of pork chop. 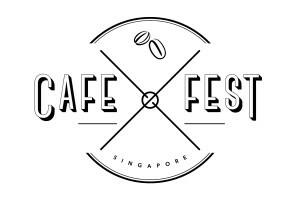 First Ever Cafe Fest in Singapore! If you are into cafe-hopping, then do not miss this first Cafe Fest which is happening this weekend at The Waterfront Promenade, Sept 6 & 7 (Sat/Sun)! This saves you all the trouble of cafe hopping from one end to the other! Although Singapore isn’t exactly that large if you have car or willing to spend on cab fare. 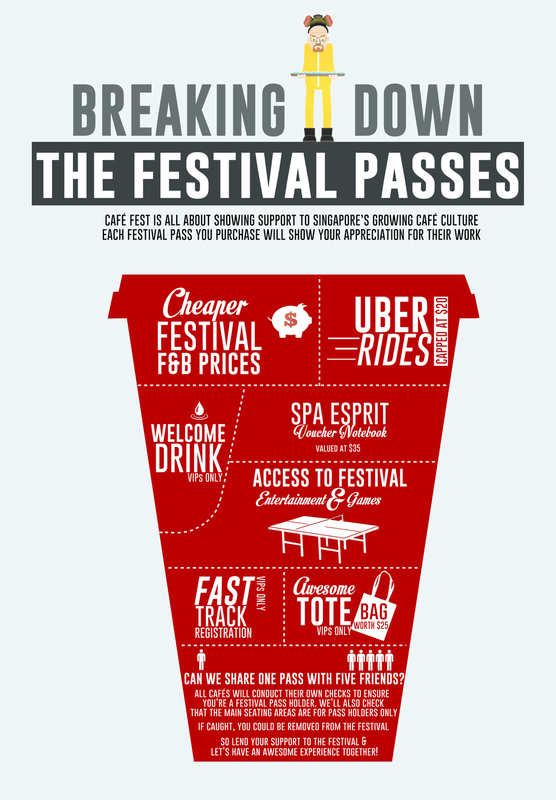 Oh well, the point is, there are 12 really awesome cafes participating and you get festival prices if you get the pass from the website. The early bird passes are sold out already though, so you can only get the VIP passes which costs you $26. 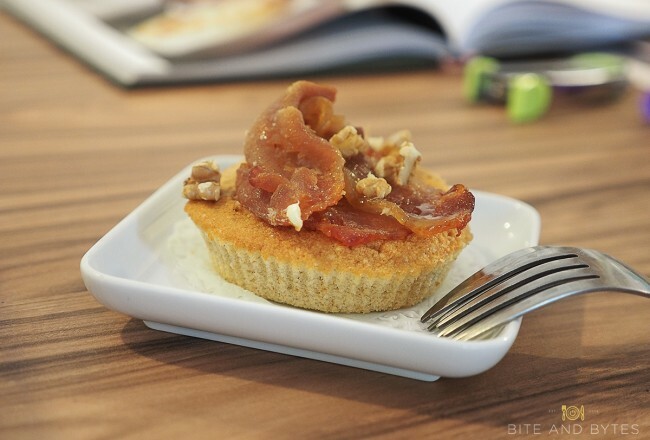 One of the cafes is reviewed here too! Hatter Street Bakehouse, die die you must try their waffles yea?! 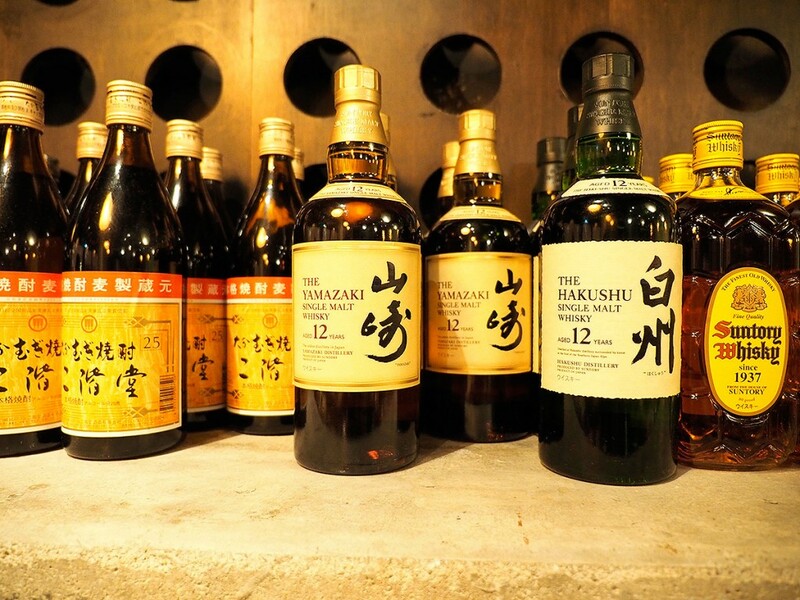 There will be events like live bands and games too, so it’s gonna be a real lively event! 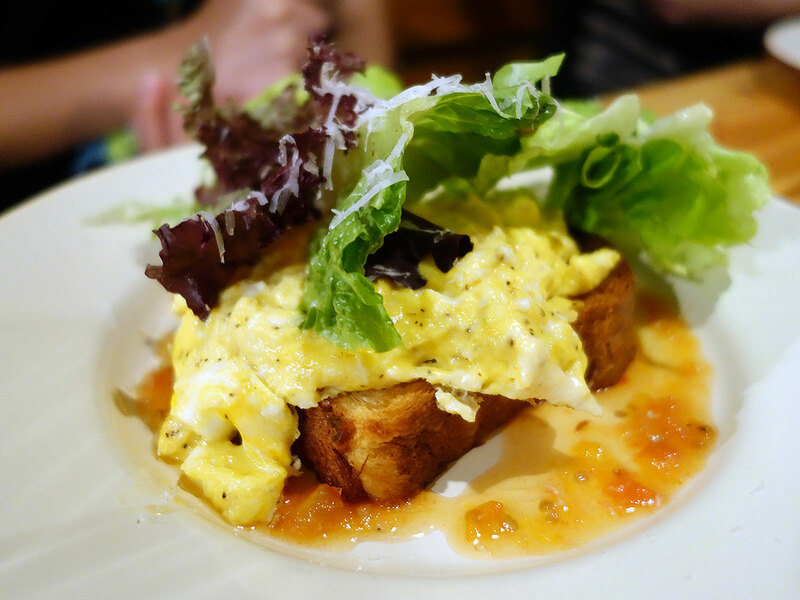 I’d heard (and seen) so much of the scrambled eggs at Club Street Social, I knew I would be trying it someday but I just didn’t know when. Yesterday, a window of opportunity opened when I needed a nice place to celebrate a friend’s birthday. Before you baulk at this plain jane, my friend shared your sentiments. “How good can scrambled eggs be?”. Man had to eat his words (and his panini, but more on that later) after having some of my eggs. A cross between a regular omelette and your usual watery soggy protein mess, this Fontina-infused goodness are the BEST scrambled eggs you’ll ever have. Fontina cheese comes from Italy, and for the non-cheese lovers, rest-assured that it’s alot milder once melted. 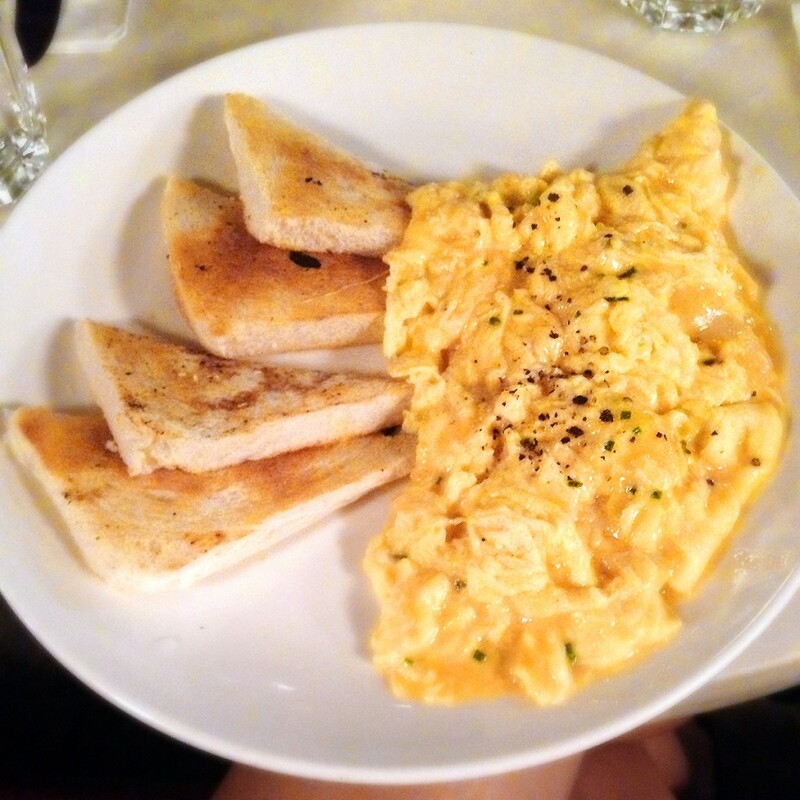 On the other hand, the toast was meh, but the generous portion of eggs (it looked like 4!) was more than satisfactory. I also had a mouthful of my friend’s Duck Confit, Roast Mushrooms Panini ($20) which was pretty good as well. This glorified sandwich stayed crisp to the very last mouthful, so plus points for that! Sorry for the lack of pictures, but the lighting was way too romantic for decent imagery. 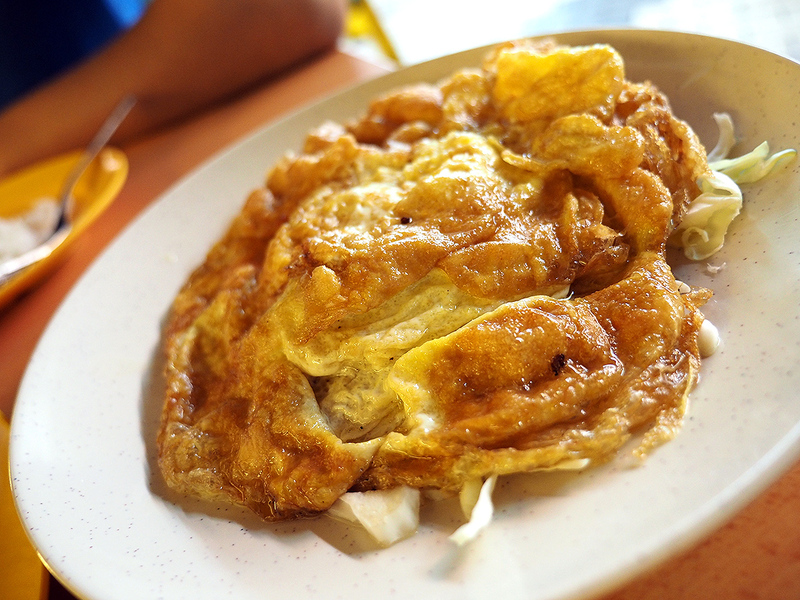 Jaywalking across the crazy peak hour traffic to get to the Amoy/Ann Siang area was totally worth it for these eggs. 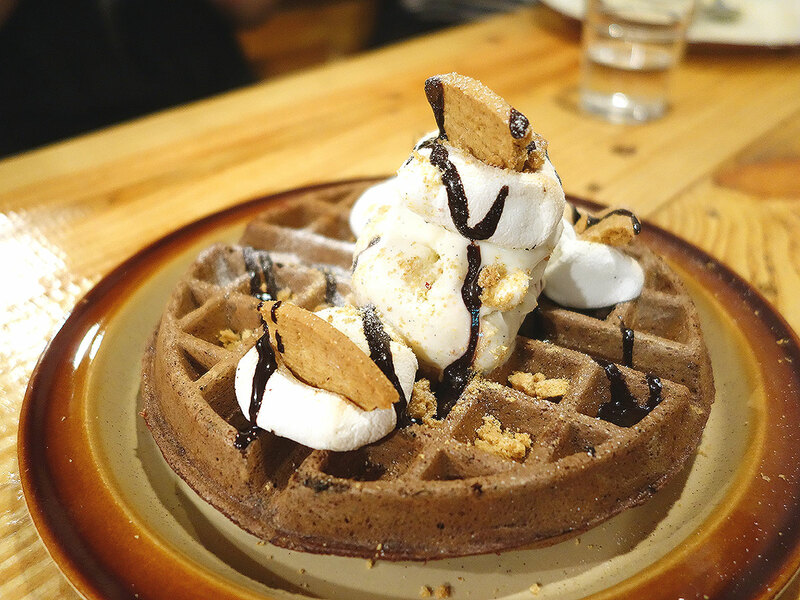 I’d suggest going on a weekday as most people head here for weekend brunches. 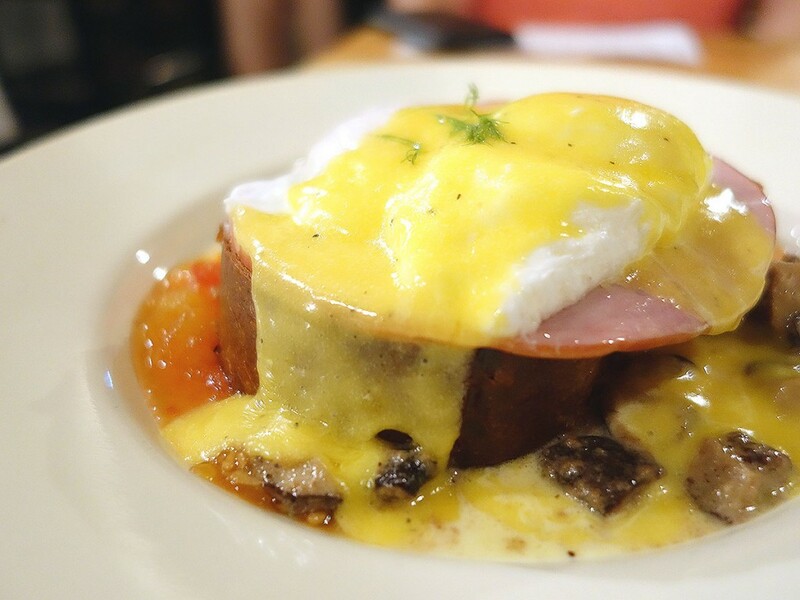 It’s an all-day breakfast menu, so you’ll still get your eggs! It’s emptier (read: better service) too, so you wouldn’t have to call to make reservations, which actually seems like an impossible task seeing how no one seems to be manning the line. 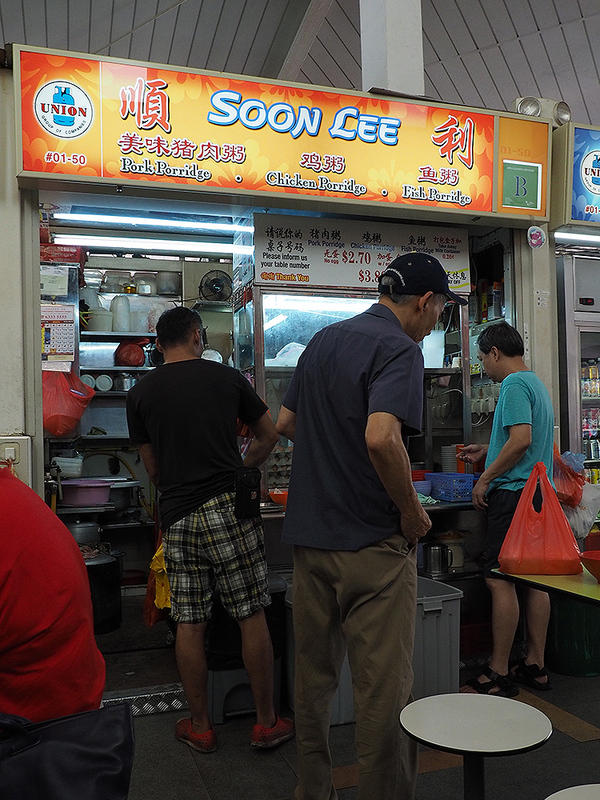 Had a really simple lunch at Clementi Market & Food Centre, Blk 448 this afternoon. No prizes for guessing what we had (It’s in the title! duh!). 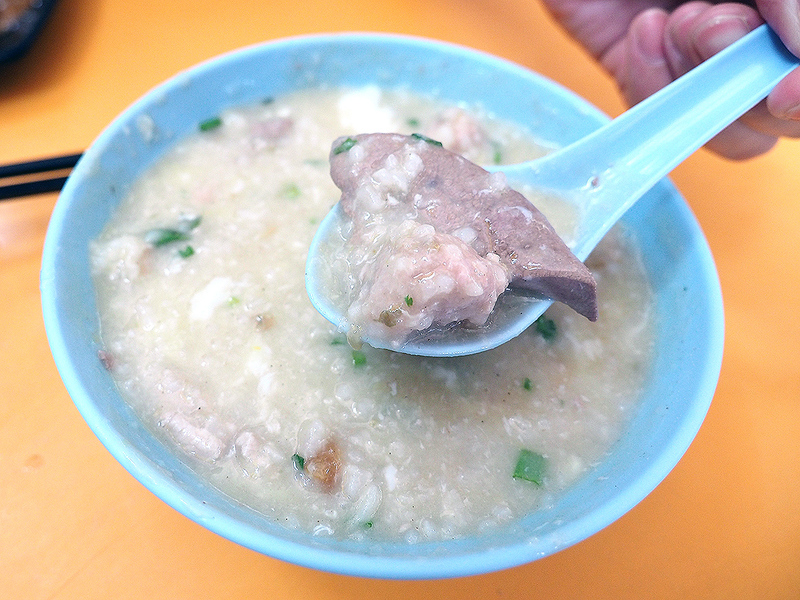 Hearsay this porridge stall is quite famous for their simple but good porridge, so decided to give it a try. Their selection is very simple, either Pork, Chicken or Fish, and all costs $2.70 across the board, with an egg, it costs $3.00. And if you’re hungry for more, you can order the large version at $3.80. 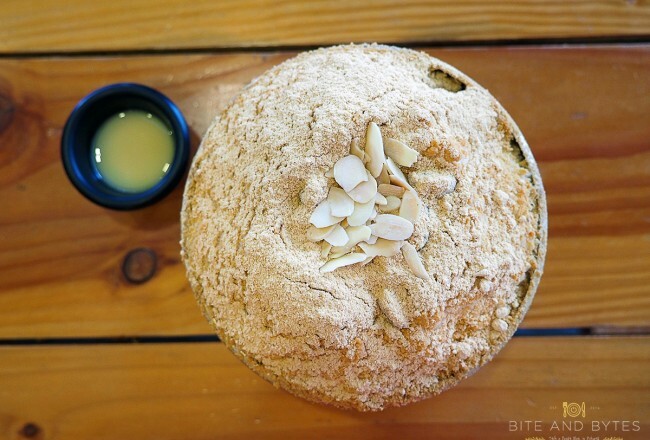 At first glance, the porridge looks very simple and ordinary, like a homemade porridge, which is perhaps why it’s popular. The pork porridge we ordered had full of ingredients. Large chunk of pork liver, slices of lean pork meat, meatballs, preserved radish, egg, spring onions. 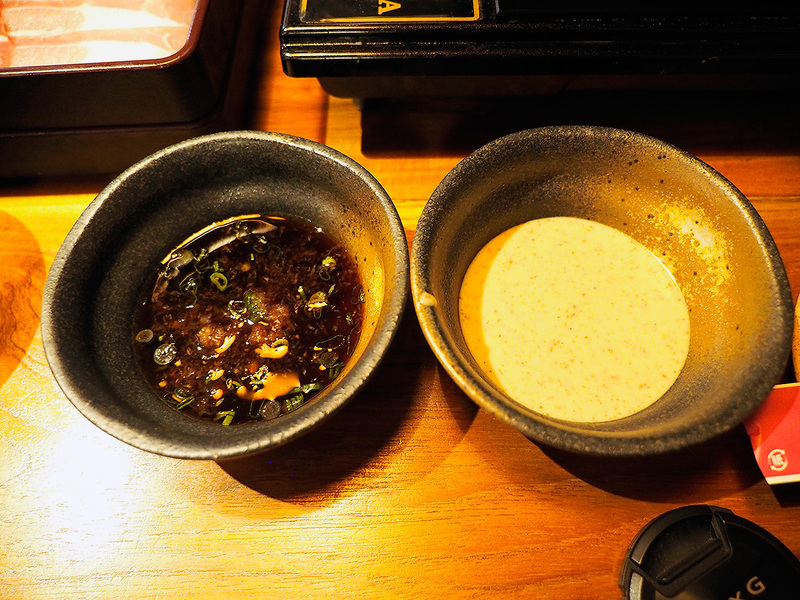 It does taste nice and traditional for this bowl of porridge, and doesn’t taste too salty, unless you put in a lot of the soya sauce of course. 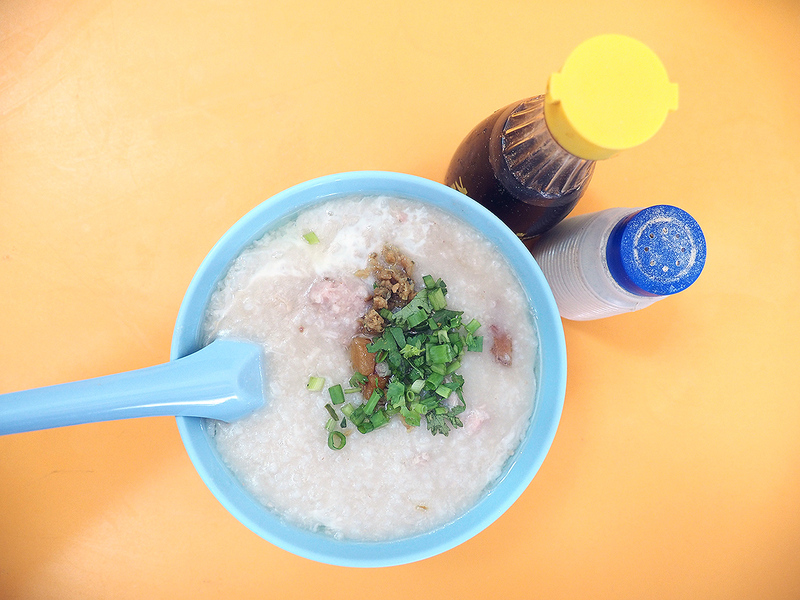 But I think I had better porridge before at Bugis Queen Street Hawker Centre before it renovated, but think the stall is nowhere to be found already. 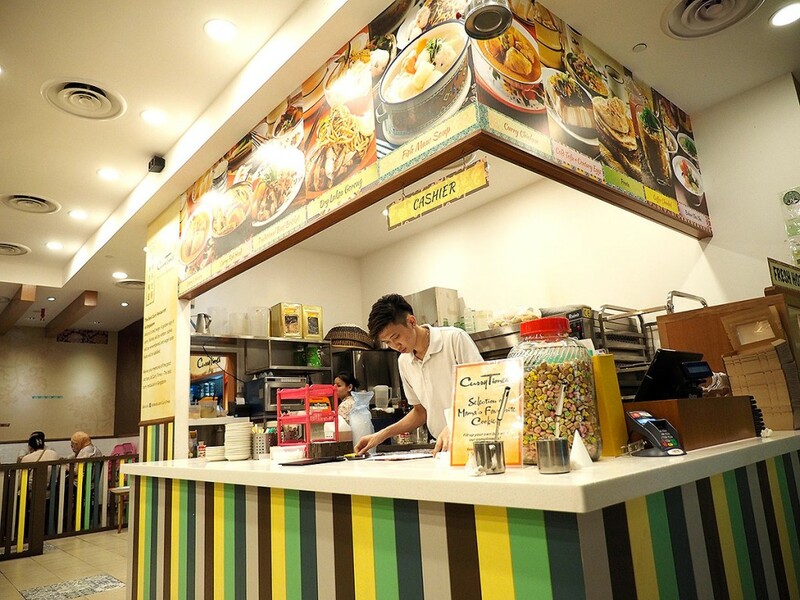 If a bowl of porridge is not filling enough, you can always order other stuffs there, like the Satay Beehoon that we ordered, or Char Kway Teow, Satay, Fishball noodles, etc. 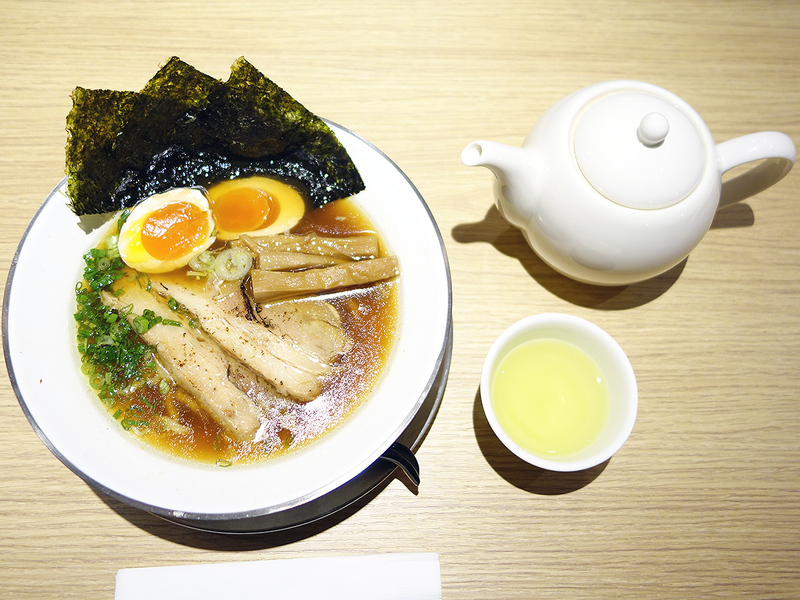 Had always wanted to try this new ramen house and missed an opportunity when friends wanted to visit the restaurant at Holland Village but had to work too late to give it a miss. 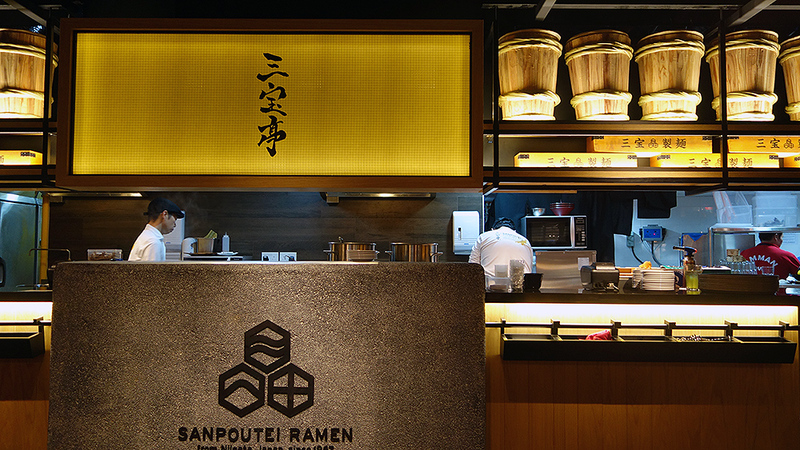 Therefore, when I saw Sanpoutei Ramen is opening at the basement of Shaw House, just opposite Isetan Supermarket, I immediately wanted to try! 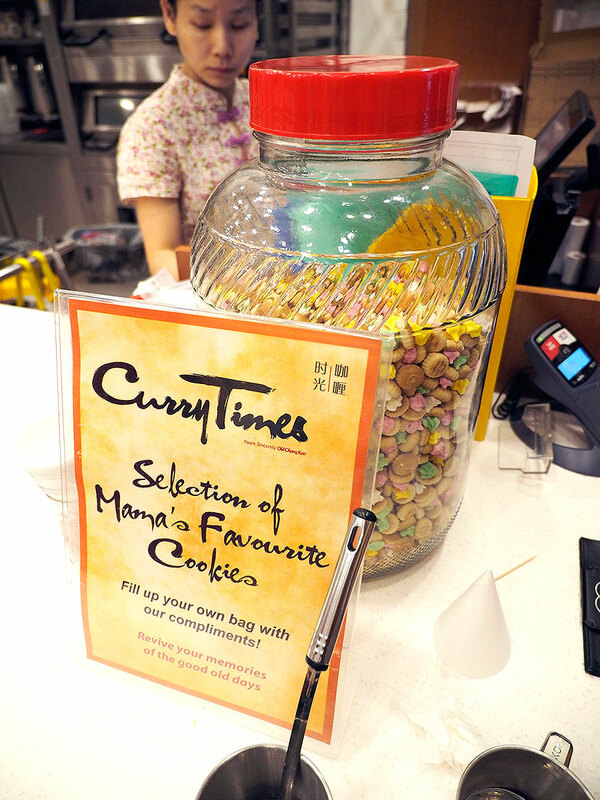 This branch opened on the 28th August, so it’s rather new to people shopping at Orchard. There wasn’t a crowd inside when I arrived at 9PM. The interior of the shop is as good and simple as other Japanese Ramen restaurants, but something special was their tables had charcoal as a form of decoration, but I guess it’s also to remove odour? Have to mention that the staff inside are really friendly too! 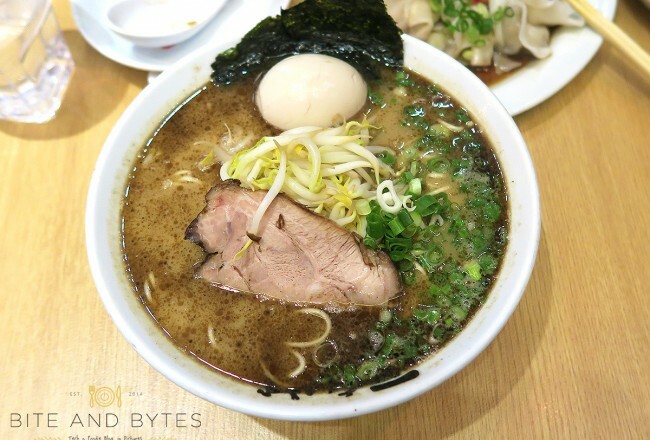 And here comes the main highlight of the day, the Shoyu Ramen. 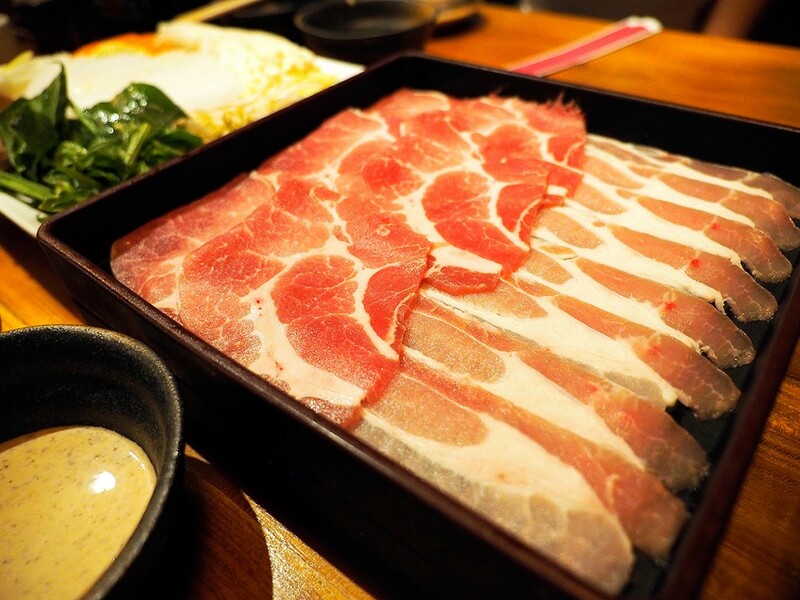 The best thing about Japanese cuisine is the presentation is always remarkably good, so it’s easy to feel hungry when you see the food arriving. 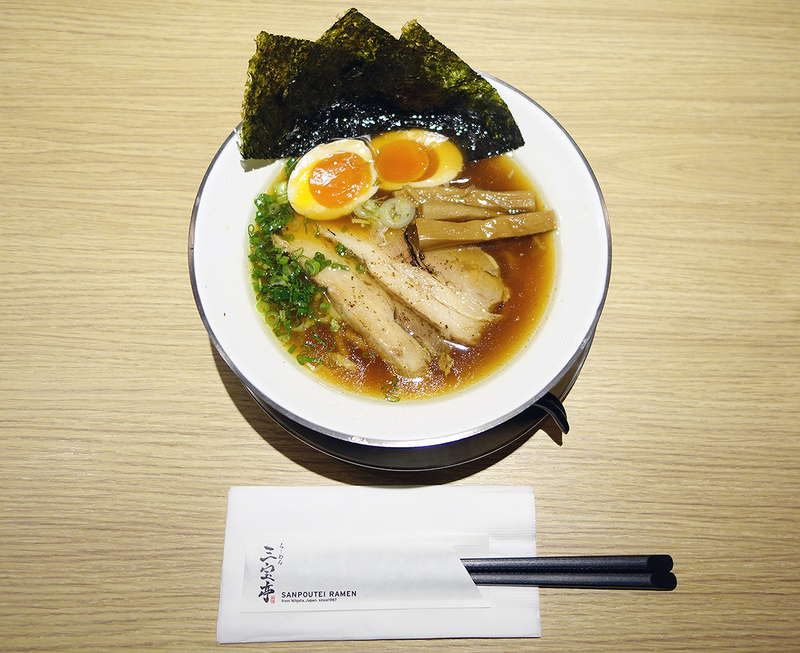 What’s the main difference from other ramen is that this soup is boiled with mixture of vegetables, whole chicken, tonkotsu and some other ingredients and 2 different kinds of dried sardine imported from Japan. Yes, you’ve not heard wrongly, Sardines! The whole bowl smells good and the soup is really clear as you can see, which probably is a trademark or indicator of Chicken broth ramen, like Marutama Ramen? The noodles here are of the right texture, though I could probably have liked it a little tougher more, but it still tasted good to me. There’s no choice of doneness of the noodles, or at least they never asked. Have to mention that the soup was really good and refreshing! 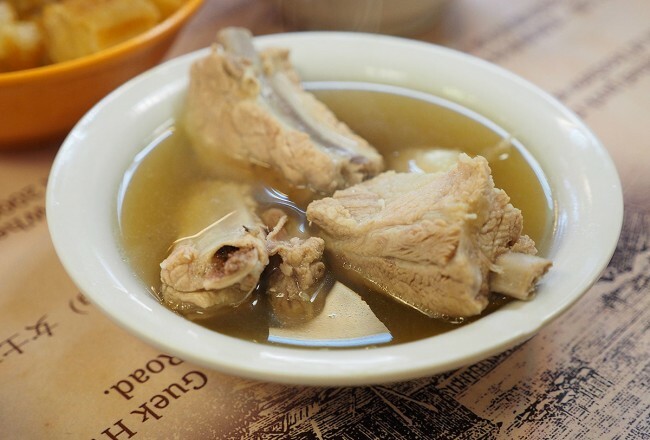 There’s no sign of stale taste from the sardines, but it does taste very different from ordinary pork based broths. The noodles texture was just nice! And for the soft boiled egg, simply heavenly! 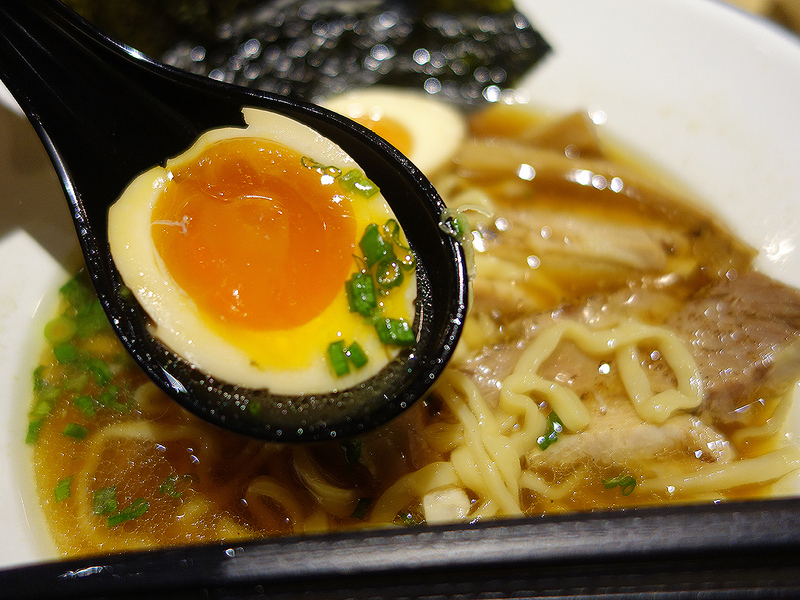 To me, this is one of the best soft boiled egg in ramen that I’ve eaten since I first tasted Marutama’s. 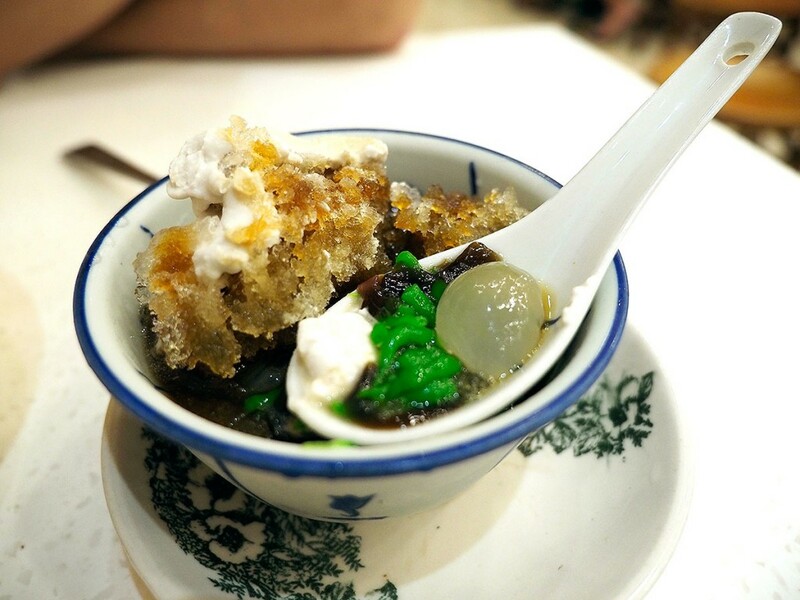 The yolk has no hint of being fully cooked, and you could use your chopsticks to dig it up and it’s all translucent like jelly! Simply the best! Hopefully the standards doesn’t drop once they get pretty busy. 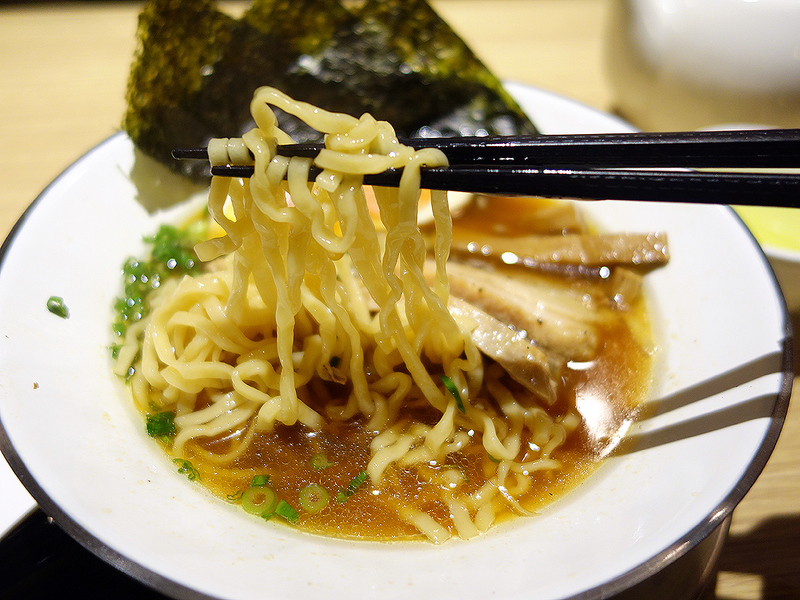 It’s really one of the ramen shops that I’ll frequent if I have a chance to. 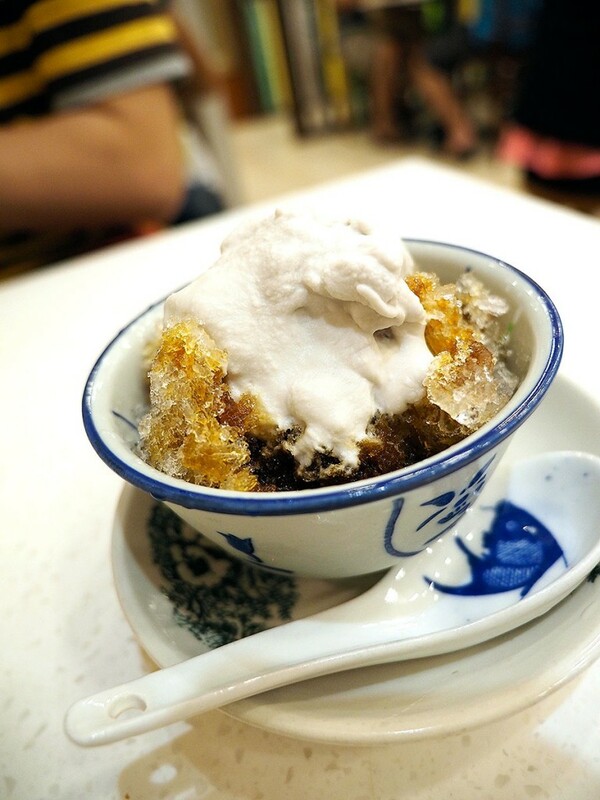 And because Shaw House basement just completed renovation, not many people know there’s now this restaurant together with a large Food Republic food court, and Toastbox. So the crowd there isn’t that many, for now I guess.